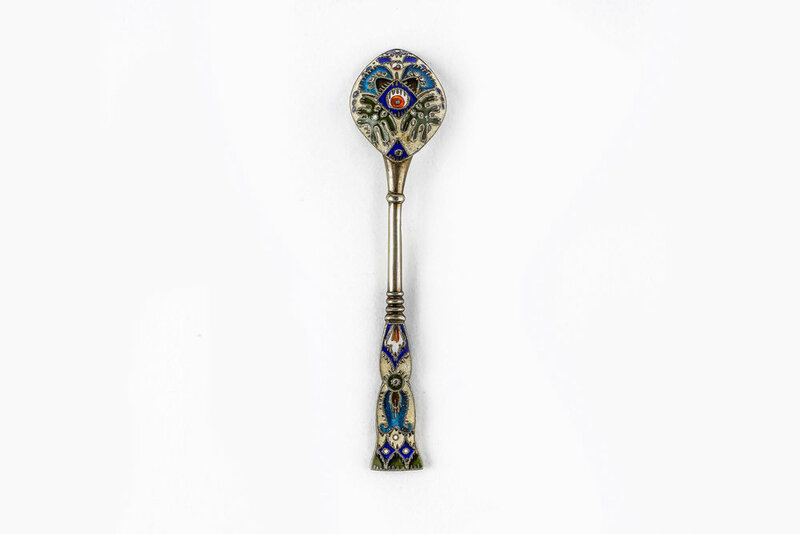 A beautiful Russian silver enamel faberge spoon work master Feodor Ruckert. For price please inquire. A beautiful Russian silver enamel faberge spoon work master Feodor Ruckert. circa 1908-1917. length is 4.25″.